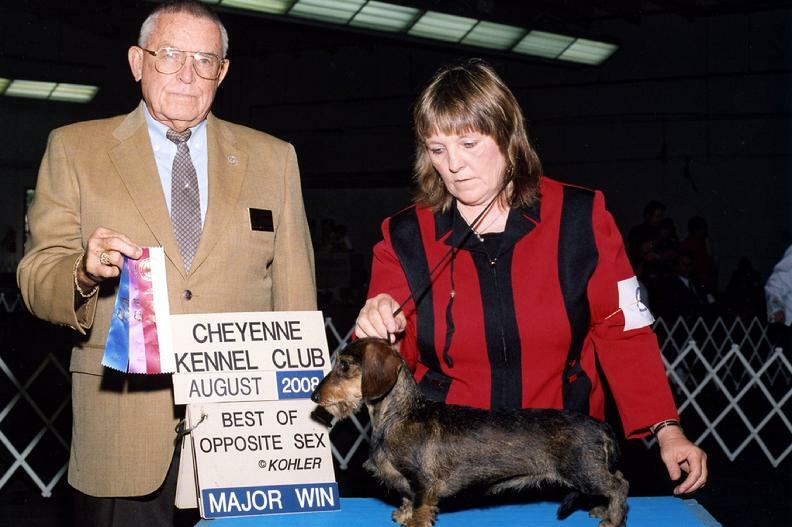 These Belong To My Sister Sharon Who Specializes In Minuture Wirehaired Dachshunds. Not Quanity But Quality. Gabby Has Now Earned Her ROM ! And Judge - Mr Douglas A Johnson. 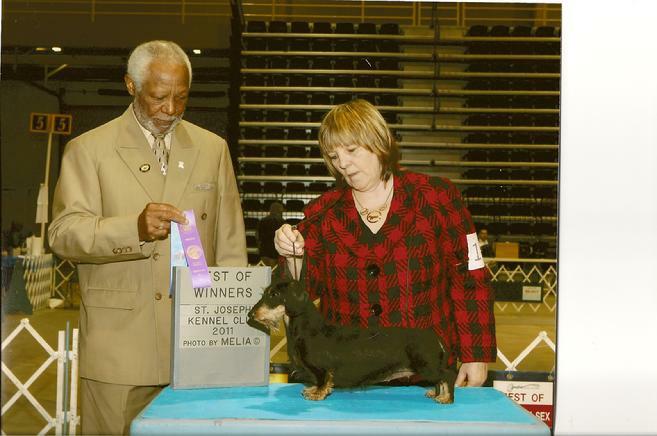 I Thank All Of These Great judges! 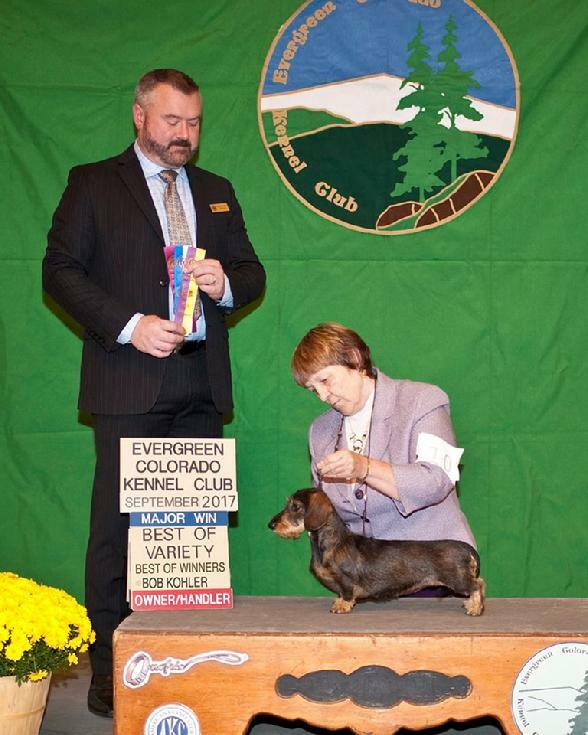 Midernoch Lets Do It Again To Doxieville MW. 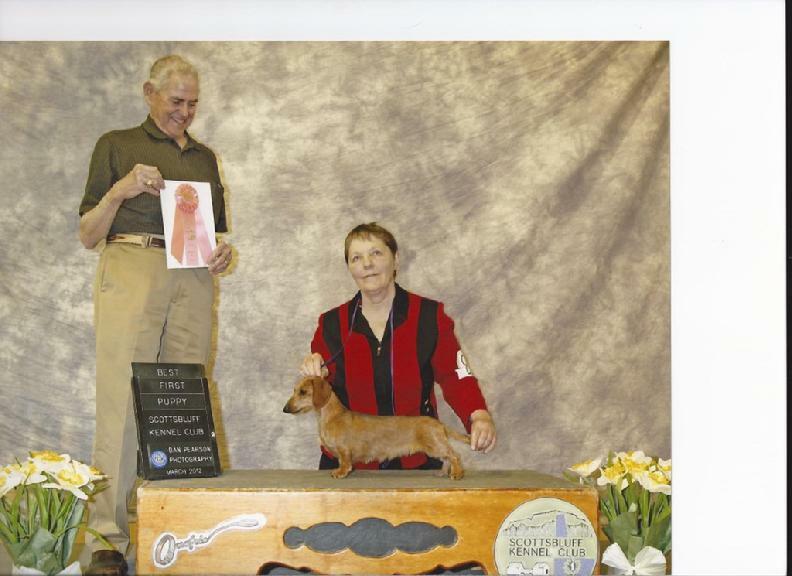 (Angel) She Won A Group One In The Puppy Hound Group At 7 Months Old Thank You To Judge Dr Donald E Schwarts. 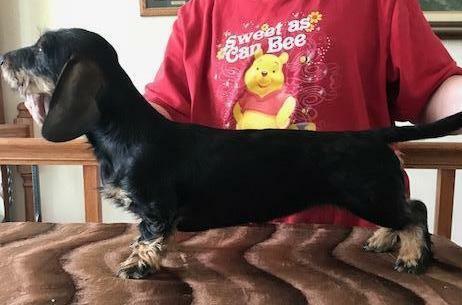 Doxieville Gabriel's Trula Blau MW -- 6 months Old - She Is My Next Show Prospect.